Simpson believes every foundry is different. No one solution is right for everyone. To obtain the full potential from any bentonite bonded sand molding plant, Simpson Technologies brings the world’s largest selection of continually advancing sand preparation and control technologies that can be matched to the specific needs of any project. Whether the application is for a small jobbing steel foundry or a high-production automotive iron or aluminum foundry, Simpson delivers an optimized, high performance solution which maximizes the potential of a molding plant to produce high-value, high-profit metal castings. Specializing in the field of molding sand preparation and control since 1912, family owned Simpson Technologies builds on more than 100 years of experience providing innovative, integrated technologies with uniquely effective performance to the world’s metal casting industry. 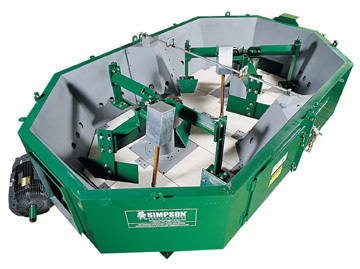 Simpson Multi-Cooler - molding sand cooler and pre-mixing system. Simpson Mix-Muller - medium speed, high intensity batch mixer. Simpson Speedmullor - high speed, high intensity batch mixer. 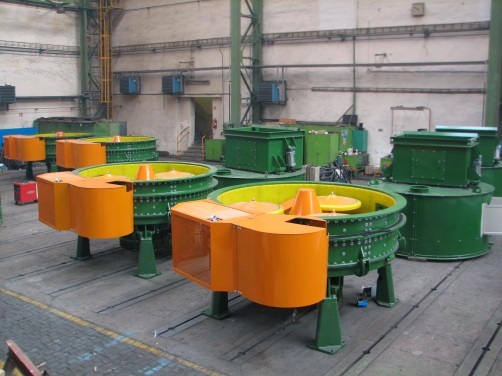 Simpson Multi-Mull - high efficiency continuous mixer for bentonite bonded molding sands. Simpson+Hartley - on-line control and automation system for molding sand mixers. Simpson Analytics - the worlds most advanced and largest portfolio of foundry sand laboratory instrumentation. Simpson Pro-Claim - bentonite bonded and chemically bonded sand reclamation system. Simpson Service - aftermarket parts, training and technical support.